Maruti Suzuki India showcased the all new generation WagonR electric car today at the MOVE mobility summit today. MOVE mobility summit 2018 was inaugurated today by PM Narendra Modi. In attendance was Suzuki Motor Corporation’s 88 year old Chairman, Mr Osamu Suzuki. He revealed Maruti Suzuki’s future plans for electric mobility in India. 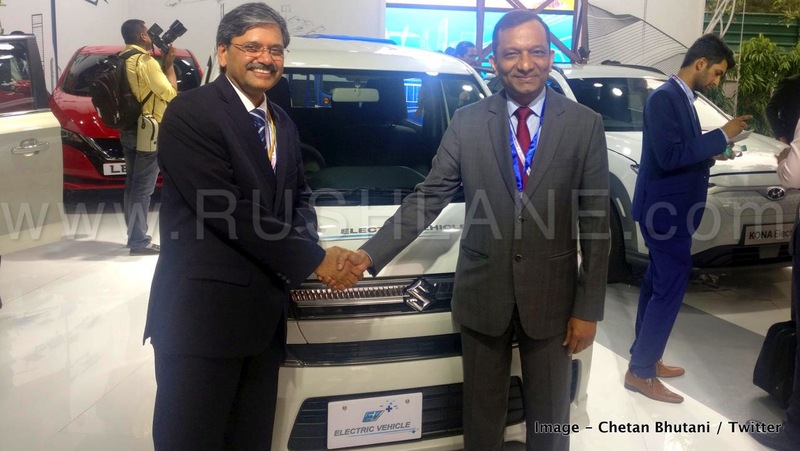 As part of the plan, it will be the WagonR which will be first to be launched as an electric car from Maruti Suzuki. This new 6th generation car is based on the new generation WagonR, which is already on sale in Japan. Mr C V Raman, Senior Executive Director (Engg) at Maruti Suzuki India Limited with Dr Pawan Goenka, Mahindra at the event today. Image – Chetan Bhutani. 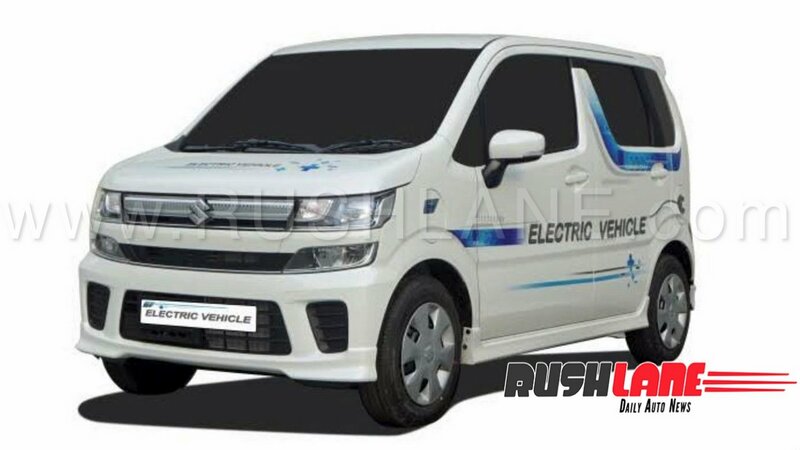 2020 Maruti WagonR electric car is based on the HEARTECT platform, just like the Swift, Dzire, Baleno. This re-engineered platform will comply with crash test norms such as offset frontal and lateral impact that were introduced in October 2019. The new WagonR will also receive pedestrian protection safety among its safety features. Tech specs of the WagonR electric are not yet revealed. But expect it to get a lithium-ion battery pack. Maruti Suzuki will be making their own battery-packs at the Gujarat plant. Bu 2030, Maruti Suzuki aims at selling 15 lakh electric cars and 35 lakh petrol / diesel cars in India by 2030. Helping Maruti Suzuki in achieving this will be their new global partner, Toyota – who is a leader in electric vehicle and hybrid technology. Maruti will be using Toyota’s expertise to launch atleast 4 EVs / hybrids in India by 2021. This includes WagonR, Vitara Brezza SUV, Baleno and Corolla. Ahead of electric car launch, Maruti is expected to launch the new generation WagonR with petrol engine. This is expected to take place later this year, or early next year. 2019 Maruti WagonR will be powered by a 1.0 liter, K Series, 3 cylinder petrol engine offering 68 PS power and 90 Nm torque. The same engine with CNG option will be capable of 59 PS power and 77 Nm torque. This engine will comply with BS VI emission norms and will be mated to a 5 speed manual transmission with AMT options.